My husband convinced me of the merits of having my own domain and host for this blog, so nurturemama.blogspot.com is now nurturemama.net. Everything on the old site is now on the new site. I will no longer be posting here but this site will remain up as a resource. If you have subscribed to my feed (thanks! ), it should switch over to the new site automatically but please check to make sure you are receiving updates. 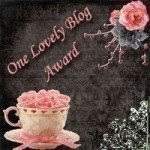 If you've linked to my site, please update your links to: nurturemama.net. A big thanks to my awesome husband and all of his technical support. Nurture Mama wouldn't be here without him! The responsibility that I have as a mother to teach my children weighs heavily on my mind. I have three sweet spirits that have been entrusted to my care, and I want to be sure that they grow and learn the important lessons to help them be successful and good people. I don't care if they grow up to be rich and famous, I just want them to be good and kind. Children learn best by example, so of course I am trying my best to live my life as a good and kind person. But it is important to verbalize the essential life lessons as well. So lately I've been putting a little more thought into our Family Home Evening lessons, and teaching the attributes/skills that I most want my children to develop. My first lesson along this theme was Hands are for Hugging, not Hurting (can you tell we sometimes have a hitting problem at our house?!). The lesson went really well and those words have become a common phrase heard in our home, when little hands need a reminder on how to behave. The next lesson was Quickly Obey, followed soon after by Pray Always. Our Follow the Prophet lesson coincided with General Conference, but teaching our children that we follow the prophet is a year-long endeavor. Each of these lessons was centered on a simple phrase that could be easily remembered and repeated. We talk about them at dinnertime, we mention them in family prayers, and whenever an appropriate opportunity arises. We're calling them our "Tanner Family Habits" and these are the words that I hope my children will remember and take to heart. I will be happy if when my children are grown they can look back and say "Yes, I know it's essential to follow the prophet, because we talked about it in our family and we did it". Or when troubles arise, my children know who to turn to for help (and in gratitude also), because we are a family who prays always. In a way, we are crafting our family mission statement through these lessons. We'll keep adding to our list as we go along, working to develop good habits and strengthen our family. "Maintaining good personal habits which are pleasing to our Heavenly Father will strengthen our character, increase our influence for good, improve our example, bless our loved ones and friends, enrich our lives, and enable us to accomplish those things that yield true personal satisfaction and build peace and happiness in our hearts. We will have joy eternally, possessing a treasure to be much desired and sought after, for the Lord gives this assurance: “Inasmuch as men do good they shall in nowise lose their reward.” (D&C 58:28.) (Delbert L. Stapley, “Good Habits Develop Good Character,” Ensign, Nov 1974, 20). "Hope is a gift of the Spirit. It is a hope that through the Atonement of Jesus Christ and the power of His Resurrection, we shall be raised unto life eternal and this because of our faith in the Savior. This kind of hope is both a principle of promise as well as a commandment, and, as with all commandments, we have the responsibility to make it an active part of our lives and overcome the temptation to lose hope. Hope in our Heavenly Father’s merciful plan of happiness leads to peace, mercy, rejoicing, and gladness. The hope of salvation is like a protective helmet; it is the foundation of our faith and an anchor to our souls. "We hope in Jesus the Christ, in the goodness of God, in the manifestations of the Holy Spirit, in the knowledge that prayers are heard and answered. Because God has been faithful and kept His promises in the past, we can hope with confidence that God will keep His promises to us in the present and in the future. In times of distress, we can hold tightly to the hope that things will “work together for [our] good” as we follow the counsel of God’s prophets. This type of hope in God, His goodness, and His power refreshes us with courage during difficult challenges and gives strength to those who feel threatened by enclosing walls of fear, doubt, and despair." The past week has been one of sadness and tender feelings in the lives of my extended family. We mourn the passing of my sweet niece who was tragically killed when she was hit by a car while riding her bike. Allison was a beloved daughter, sister, cousin, granddaughter and friend and she will be missed by many. Though her life was cut short in just a moment, I find peace and hope in my faith. I am thankful for eternal families, and the knowledge that Allison can be reunited with her family again someday. "Peace I leave with you, my peace I give unto you: not as the world giveth, give I unto you. Let not your heart be troubled, neither let it be afraid" (John 14:27). My husband put his feelings into words here. Read the news article about the accident here. You can read Allison's obituary here. After a fun trip to the pumpkin patch last week, we're planning a family fun night to carve our pumpkin. But with a little time to spare on a long weekend I decided to invite my girls to a Pumpkin Party Weekend. We'll be working on activities inspired by the following great ideas I've found in my Google Reader this week. 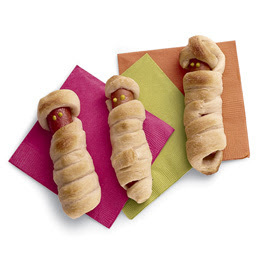 My friend Emily brought some adorable Hot Dog Mummies to the Sweet Bee's preschool party. This is what we'll be having for dinner on Halloween night, along with the Spooky Jello-Jigglers, and some Halloween themed pasta if I can find it at the store (thanks Courtney for the idea). I don't think we'll get to it this year, but some time I would like to try the Frozen Banana Ghost Treats from No Time for Flashcards. What are your favorite pumpkin activities? "...one family prayer, one scripture study session, one family home evening..."
"Teaching in the home is becoming increasingly important in today’s world, where the influence of the adversary is so widespread and he is attacking, attempting to erode and destroy the very foundation of our society, even the family. Parents must resolve that teaching in the home is a most sacred and important responsibility. While other institutions, such as church and school, can assist parents to “train up a child in the way he [or she] should go” (Proverbs 22:6), ultimately this responsibility rests with parents. According to the great plan of happiness, it is parents who are entrusted with the care and development of our Heavenly Father’s children. Our families are an integral part of His work and glory—“to bring to pass the immortality and eternal life of man” (Moses 1:39). On God’s eternal stage, it is usually intended that parents act as the central cast members in their children’s lives. Fortunately, there are understudies involved in the production who may step in when parents can’t. It, however, is parents who have been commanded by the Lord to bring up their children in light and truth (see D&C 93:40). "Parents must bring light and truth into their homes by one family prayer, one scripture study session, one family home evening, one book read aloud, one song, and one family meal at a time. They know that the influence of righteous, conscientious, persistent, daily parenting is among the most powerful and sustaining forces for good in the world. The health of any society, the happiness of its people, their prosperity, and their peace all find common roots in the teaching of children in the home. STIR boiling water into dry gelatin mix in large bowl at least 3 min. until gelatin is completely dissolved. Pour into 13x9-inch pan. DIP bottom of pan in warm water 15 sec. 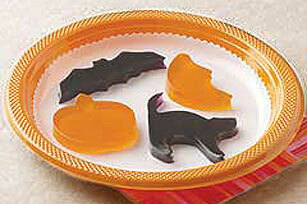 Cut into 24 decorative shapes, using 2-inch Halloween-shaped cookie cutters, making sure to cut all the way through gelatin to bottom of pan. Lift gelatin shapes from pan. Store in tightly covered container in refrigerator. 1. Stir chopped parsley into your favorite deviled egg mixture to give it a green tint; fill the cooked egg whites. 2. 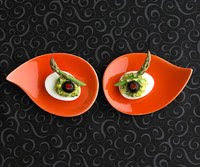 Use black-olive slices for pupils and a bit of red pepper pushed into the center for evil glint. Add asparagus tips for eyebrows. This recipe is tried, tested and truly loved by me! It's a fall tradition at our house now! 2. Spray cookie sheets lightly with vegetable spray (Pam). 3. In a large bowl, mix together the cake mix and pumpkin with a fork or mixer until well blended; stir in nuts or raisins, if desired. 4. Drop by large rounded spoonfuls onto the cookie sheet; they don't flatten out much so however you place them on the sheet is pretty much how they'll look after baking. 5. Bake for 8 to 15 minutes, depending on the size of your cookies. 6. Allow cookies to cool on baking sheet for up to 5 minutes before removing to a wire rack to cool completely. Here is a detailed breakdown of what I plan to do each day. Read a book that connects with the letter. 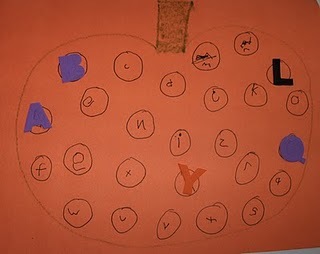 Create letter artwork, see No Time for Flashcards for inspiration. Color a basic letter poster for the wall, add a letter sticker (the posters I use are the Uppercase A-Z Worksheets from Confessions of a Homeschooler). Free art using the color (and others, too). Cut the shape out of play dough or cookie dough. Create or play something fun. A good day to do seasonal projects (ex. Halloween or Christmas). As we go along, I'll share the specifics of what we actually did in each lesson (ex. which books we read for letter X, the number game we played with number 3, the creative letter artwork we did for letter L, etc). Watch for the details in future posts. These activities would be fun (and educational) for most 2-3 year old children, and adaptable for other ages as needed. My five year old likes to join in whenever she can!